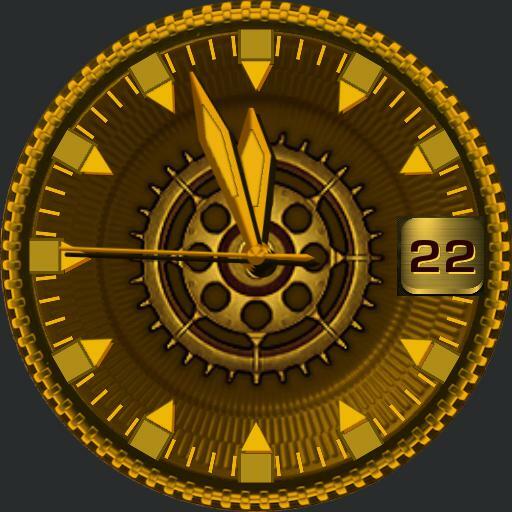 2 Faces, Face 1 analogue time, day date, single color, Face 2 heart rate, and step counter, power levels for watch and cell, weather icon, low and high temperature, tap actions, centre to swap Faces, top left stopwatch start and stop, top right, stopwatch reset, bottom left, next ucolor, bottom right, previous ucolor for dials. animation. Dim Face 1, Analogue time and date, Face 2, stopwatch.